This is a reposting of a guest blog post I did for Dos Family five years ago. I regularly receive emails asking for the link to download the Swedish Christmas record, so I will repost it here yearly! In the United States, it’s not uncommon to hear Christmas music wafting from shop speakers as early as the beginning of November, but it’s not “Here Comes Santa Claus” or “Jingle Bell Rock” that puts me in the holiday spirit. 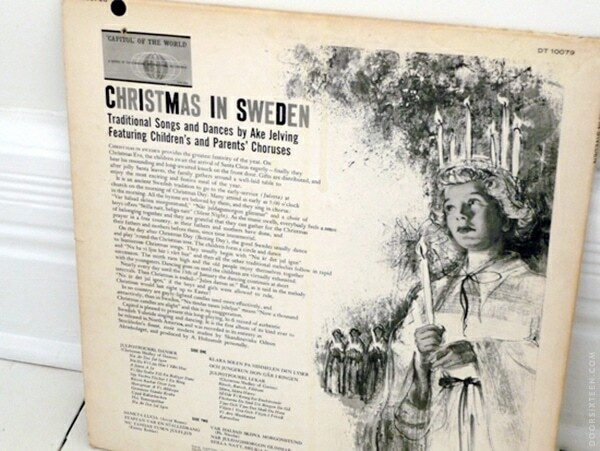 For me, it’s not Christmastime until I put on the recording of Swedish Christmas music that I grew up listening to each and every year: Christmas in Sweden, recorded in 1962 by Åke Jelving and a chorus of parents and children. This is jovial, happy music, sung with energy and enthusiasm…and with audible gasping and stomping! Our mother may be Swedish, but my siblings and I haven’t got a clue what the lyrics mean. I suspect that they, like me, sing along phonetically (and badly) in the privacy of their own homes. 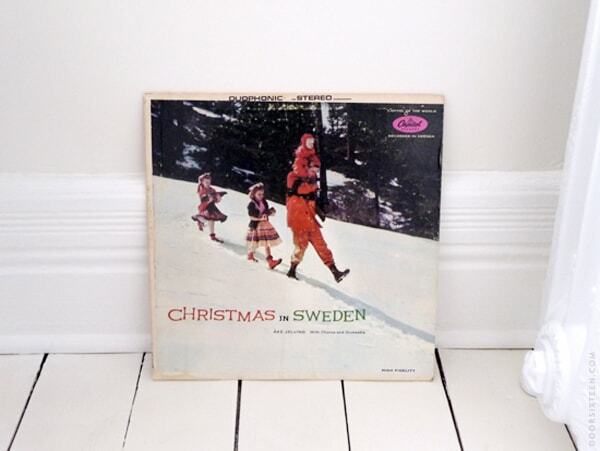 On Christmas day, we put the record on and leave the singing to Mommy as we all hold hands and dance in a circle, usually around the spread of snacks and glögg on the kitchen island. To download the album, you’ll need to visit this link. No need to create an account, just click on “download.” Easy! (Here you can see what Lucia is – it has all Swedes experienced in school) and Lucia are celebrated in the Church so that all citizens can celebrate Lucia. That’s true I love this! our mom used to always put on this but on tape, when we were baking gingerbreads! 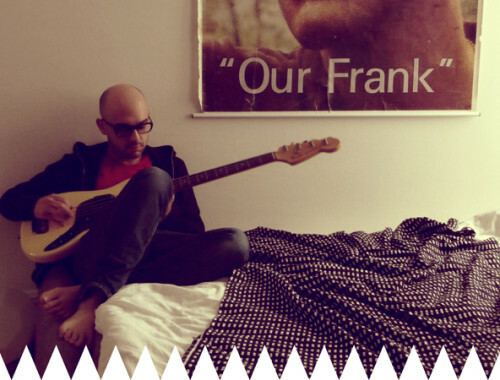 Though of Dutch extraction I adore all things Scandinavian, so thanks for this God Jul music. In 2014, you posted about the brilliant Swedish/Danish TV series Bron/Broen — The Bridge — and I’ve been captivated by the Nordic Noir genre ever since. I am notorisously **it at sending cards, am really, really bad and always have been. In fact I now actively discourage people from sending them to me. What I prefer to do is to send people a random postcard during the year with goodwill messages. Anyway, hope you had a good holiday and new year, looking forward to seeing what you are doing over the current year. Can’t wait to see how it’s going with your new place. I am currently doing more pottery, drawing commissions and some sewing projects, oh…and I gave my website a big new year make-over. What doing? How’s that laundry room? Nothing yet, Mother Mary! Just busy working on work. I just tried to download from this link and got blocked by chrome – apparently the site has malicious stuff on it? Is there any other download option? Thank you so much, and Merry December. – Suzy.